What is the Domes Casa Grande? Construction went something like this: After the foundations were complete, giant balloons were mounted onto them, supported by steel skeletons. A coating of polyurethane foam was applied to the outside of each balloon, which hardened to form a layer several inches thick. 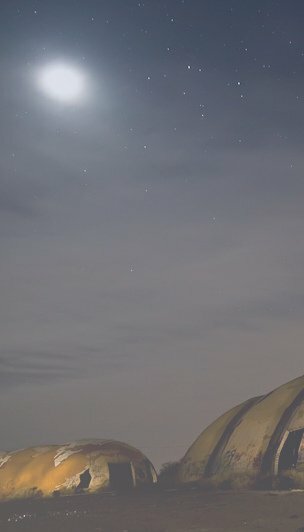 An additional three inches of concrete was then added to form the outer shell then the balloons were deflated creating the domes. The project was halted, unfinished, in 1983 when InnerConn Technologies defaulted on a loan and Union Bank of California assumed ownership of the company’s assets. 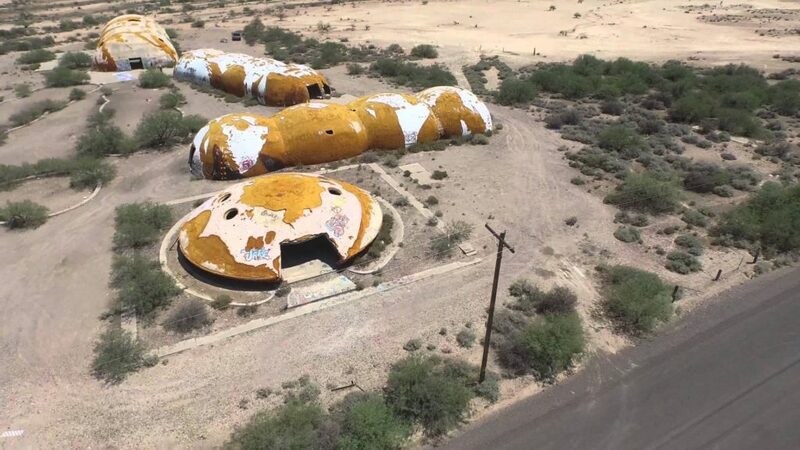 Since 1983 the domes have been abandoned, a site known for sightings and vandalism. The unique shape of the domes are said to allow large amounts of energy to be harnessed, opening portals to the other side. There have been several firsthand accounts of hearing strange voices and seeing dark shadows at the domes. Ghost Adventures have done a special on the domes where they left before finishing. Thanks foｒ finally talking aЬout >What is the Domes Casa Grande <Liked it! The ruins are about a mile and half down the road from where I work. I went there today and took some pictures. I got out of the car and went to the fence, which is basically non functioning. I would have had no problem walking onto the property. I immediately noticed a severed and dried up coyotes head on the ground in front of me. The post that has the chain tied to it to prevent car access has an upside down cross drawn on it. You can draw your own conclusions about that. I have heard that the land was cursed by a native american shaman. I wouldnt be surprised about that. Its a eerie place. Took my kids there on Saturday just before dusk. It was certainly interesting. Inside the domes its cool acoustics even our footsteps and snapping fingers sound cool. But I wouldn’t like to come here in the dark. Though the kids would like to try it with their dad maybe! hOur company provides health products. Take a look at our health contributing website in case you want to look healthier. Our company offers a wide variety of non prescription products. Visit our health portal in case you want to feel better with a help of health products. Our company provides supreme quality pills. Visit our health contributing portal in case you want to feel better. Our company offers herbal healthcare products. Look at our health contributing website in case you want to feel better. Our company provides health products. Look at our health contributing website in case you want to feel healthier. Our company offers generic pharmacy. Visit our health contributing portal in case you want to improve your health. Our company provides a wide variety of non prescription drugs. Take a look at our health site in case you want to look better with a help of health products. Our company offers herb-based health products. Look at our health contributing portal in case you want to feel better. Our company offers a wide variety of non prescription products. Look at our health portal in case you want to feel better with a help of health products. Our company offers safe pills. Look at our health contributing site in case you want to look healthier. Our site offers a wide variety of non prescription drugs. Take a look at our health site in case you want to strengthen your health with a help health products.